Bangla sahitye nari samakamita by Sankari Mukhopadhyay. In the modern world "Lesbianism" has entered deep in society. In many cases, the common people do not understand the issue. Through this novel, homosexuals (samakamita) women are not unnatural or unusual, they like us normal women. It's worth trying to say in this book. 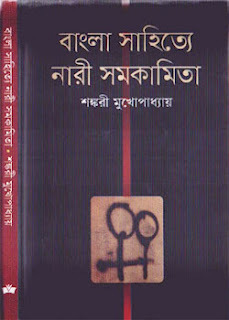 It probably did not discuss this topic before in Bengali literature.In other words, impossible proper review of such an important matter in short-range. So read the full book. Common sense of Homosexuality and Women lesbianism. Biology and psychology of women Homosexuality. Mutual emotional dependence of two girls.